Why Y’all Hatin’ on Witch Lezah? | TWINSANITY! Why Y’all Hatin’ on Witch Lezah? This harbinger of evil, this blight upon the community, is Witch Lezah, the fun-house mirror version of Bugs Bunny’s Looney Tunes adversary Witch Hazel, here cast as Bugs and Daffy’s no-nonsense witch neighbor and single mother to little boy inside the body of a 9-foot tall giant orange monster Gossamer, voiced by African-American stage, film and TV comedienne and actress Roz Ryan. Why is the Witch called ‘Lezah’ instead of ‘Hazel’? Why isn’t June Foray voicing her, especially when June Foray is on the show voicing Granny? I’ll answer these in reverse order. First, as to why June Foray isn’t voicing the Witch, well, that’s another elephant in the room that no one wants to acknowledge, but that’s kind of what we do here. Namely, that as of this writing, June Foray is 95 years old. 95. No one wants to face that, but the woman is pushing a century. It’s very possible (and quite likely) that Ms. Foray no longer has the energy and stamina to perform such a lively character anymore, and also WB probably doesn’t want to give Ms. Foray a lot of work to do because it’s not known how much more time she has on this dimensional plane. Note how Granny has been a tad more subdued than her early shorts appearances, and note also how Granny as yet hasn’t had any speaking roles since season 2 started. Regarding why Lezah sounds black, that’s because she’s voiced by an African-American woman, Roz Ryan. Regular viewers probably recognize Ms. Ryan as the voice of Bubbie the whale on The Marvelous Misadventures of Flapjack. She also voiced Thalia, the Muse of Comedy on Disney’s Hercules (1997). She has also voiced Cake on CN’s Adventure Time and Wade’s mom on Kim Possible. 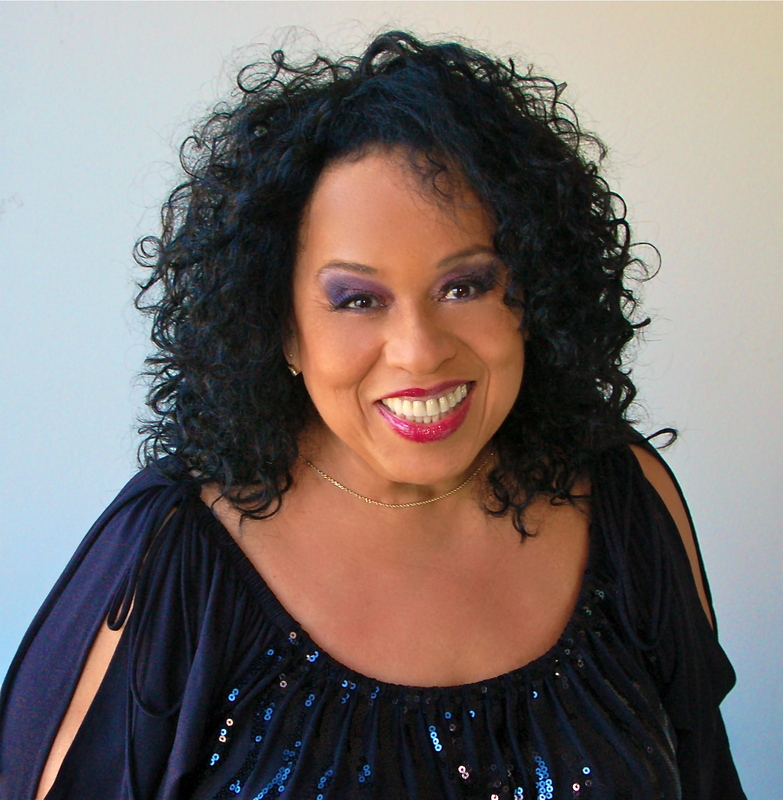 Among her live-action appearances have been NBC’s Amen (1986-1991), Barbershop (2005), General Hospital (2012) and The Rickey Smiley Show (2012). Now, on to my friend’s Mammy-Two Shoes analogy. Yes, Lezah’s voice and mannerisms are indeed based on those of a stereotypical Black American woman, but I don’t see this as an offensive ethnic stereotype so much as the writers intentionally basing the character’s persona around that of the actress who provides her voice. Lezah is more or less an animated version of the characters Ms. Ryan typically portrays on TV and movies. It’s no different from how Donkey from Shrek and Iago from Disney’s Aladdin were modeled after their voice actors, Eddie Murphy and Gilbert Gottfried respectively. Now as an African-American, I’m usually the first to point out when something is racially offensive, and I’m not the least bit offended by Roz Ryan’s Witch Lezah, however I do get kind of miffed at my fellow poster’s constant Mammy Two-Shoes comparisons. Is Lezah a tad stereotypical? Yes, no denying that. But I think calling her a Mammy Two-Shoes throwback is taking it a tad too far. And maybe Ms. Ryan could possibly voice MTS, but I can assure you that a return of Mammy Two-Shoes to the Tom & Jerry-verse is NEVER going to happen. You can file that right alongside of Disney ever releasing Song of the South on DVD in the Never Gonna Happen bin. Now I don’t hate the character of MTS; I can tolerate her appearance in the old T&Js fine, as long as one takes into account when these cartoons were made. African-American women working as domestics for white families were fairly commonplace during the 1930’s through the 1950’s, so such caricatures weren’t considered racially offensive at the time. But a character like MTS would never fly with a contemporary audience today, society has changed far too much for such a character to be socially acceptable in any medium. In fact, the character has recently resurfaced on WB’s Tom & Jerry Tales as the Caucasian Mrs. Two-Shoes, who is clearly the owner of the house and not just a domestic. You’re not going to see Mammy Two-Shoes anywhere ever again, any more than you’re ever going to see Buckwheat on TV again, definitely not the “Otay!” version of Buckwheat, not unless Eddie Murphy decides to start playing him again. So I say lay off of Witch Lezah, and lay off of the criticism of Roz Ryan voicing the character. 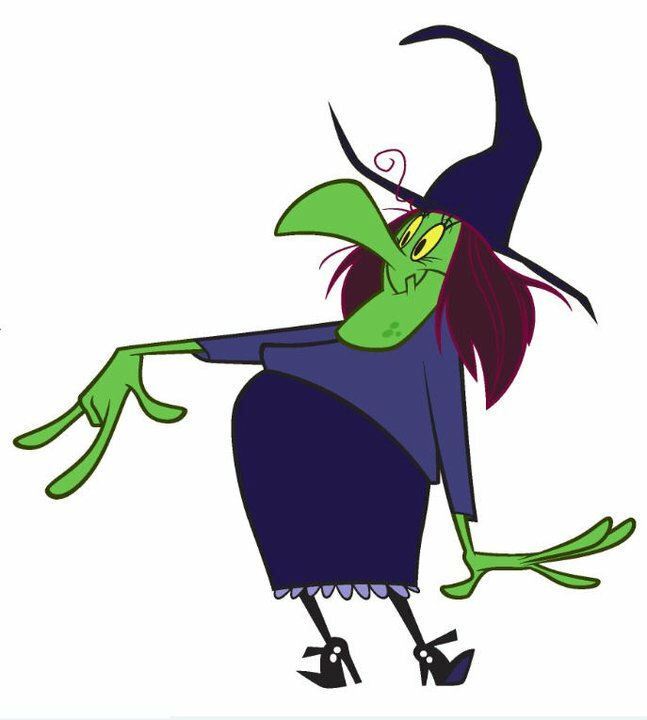 Nobody had a problem with Ms. Ryan voicing a short fat Muse or a blue whale, so why take issue with her voicing a green witch? June Foray has passed away. Sad news, but she was 99. She led a full life and nearly made it to a century. Plus Ms. Foray was still doing voice overs when she was in her mid nineties. Now that’s dedication!